Home » Will your pension be raided in the Spring Budget? In the Spring budget of March 2014, the Chancellor George Osborne was praised for one of the most radical pension reforms in over 50 years. Previously you were forced to exchange your hard saved pension for a poor value income with an insurance company. But now, the public would be trusted to do whatever they like with their entire pension pot. The new pension freedoms have been met with almost universal acclaim, though some sceptics believe the public may not resist squandering their entire pension on flash cars and holidays. has been praised for its welfare cuts and apparent austerity, speculation suggests that further cuts are required to contain, and ideally reduce, the national debt. Rumours are mounting that the Spring Budget may deliver the biggest shock to pensions of all – but this time, not positively. If Osborne continues to deliver budget surprises, then his most likely weapon of choice will be a reduction on the tax relief currently offered on UK pensions. The suggestion is that lower rate taxpayers won’t be affected as they’ll still receive a 20% top up on all their pension contributions. This equates to a £100 contribution being grossed up to £125. Instead it’s the, already squeezed, middle classes who will be hit hardest. Currently, for every £100 a higher rate taxpayer puts into their pension, the Government tops up by 40% or £66. If the chancellor slashes this to a flat 20% for all, then the middle classes will lose £41 for every £100 they currently pay in. There’s even the extreme option that the budget will cut ALL tax relief on pensions, and instead allow pensioners to take their whole pension-pot, tax free, after the age of 55. Currently they can take their entire pension, but only 25% is tax free. A basic rate tax payer saving £250/month for 25 years would lose out by £40,000 with no tax relief and a higher rate taxpayer £70,000. Unfortunately it’s very possible indeed. Firstly, the chancellor has previous form. He’s already attacked pension limits – reducing annual contribution caps to £40k and lifetime allowances to £1 million. So it certainly wouldn’t be the first time he astonishes the markets with his budget announcement. He’s also under mounting pressure to eliminate the annual deficit (which recently rose to £8.2 billion), by the end of 2019. The UK national debt currently stands at over £1.6 trillion, but worryingly is growing at the rate of £5,170 per second. With global markets under renewed pressure from ultra low oil prices and floundering Chinese stock markets, it may prove increasingly difficult to raise taxes. The next weapon in his armoury would be cuts to tax relief. The current pension relief costs the Government £34 billion a year, so this would be incredibly effective in an overnight reduction in Government outgoings. The only hope is that Mr Osborne’s ambitions of becoming prime minister may prevent him from upsetting the core Conservative voters – the middle classes. Any raid on their tax relief could be seen as a huge betrayal to Tory values and ruin any chances he has of taking the helm. Naturally if you want to add gold into your pension then the relief you’ll receive on that purchase will reduce in line with the new budget. However, adding gold bullion is just as tax-efficient as buying shares or bonds. If you use funds already within your pension (or sell another asset), then you would have already received the current level of tax relief, so won’t miss out. Rules may differ in the US with a Gold IRA. Another alternative is to purchase tax-free gold coins outside of your pension. These coins are both VAT exempt and Capital Gains Tax free. Although there’s no tax relief on the purchase, these do offer the same tax efficiency as an ISA, but without the restrictive annual limits of an ISA. Plus you can sell your tax-free coins any time you wish, unlike pension assets which are ‘locked up’ until the age of 55. One thing’s for sure, if pension tax relief is reduced in the budget, many savers will start looking at alternative, safer havens for their cash, such as gold investment and property – pushing up the prices in both asset classes. If you’re concerned about these possible changes and the continually evolving pension rules, then you should consider being tax efficient in other ways. 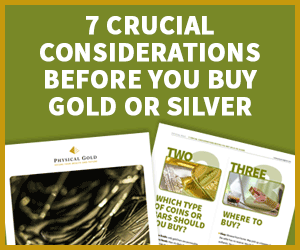 With the global economy and traditional equity markets taking a significant downturn in early 2016, precious metals could provide you with tax-efficient, market protection – but only if purchased correctly. We are specialists in UK based, tax efficient precious metals. Our 4 main product categories are VAT free Silver, Tax free Gold, Pension Gold and Gold Savings – all of which have been specifically designed to maximise tax efficiency. This entry was posted in Blog and tagged Economy, Gold Investment, Pension Gold.